Hello!! How are you doing? Man it's been a while since I last posted.. and I just realized that I haven't really thanked you but yeah, I just want to say thanks for all the support you guys! For sharing my links and for buying my stuff. THANKS A BUNCH! 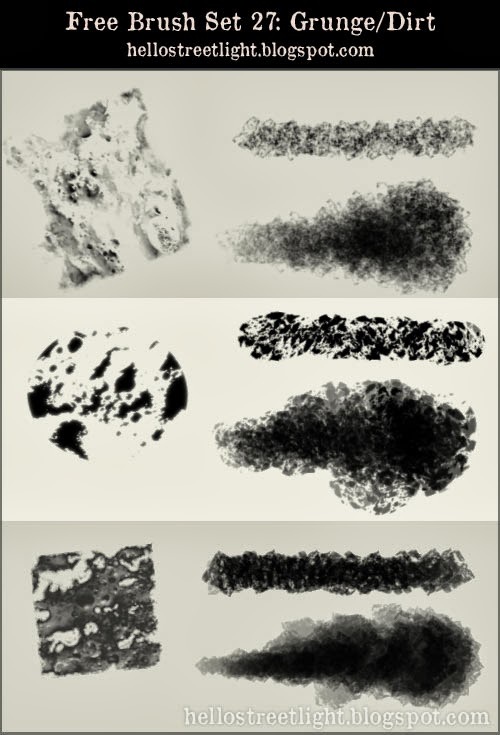 Aaand here's a new brush set! Yes its another grunge-ish pack but the effect is really awesome so I thought this is worth sharing.